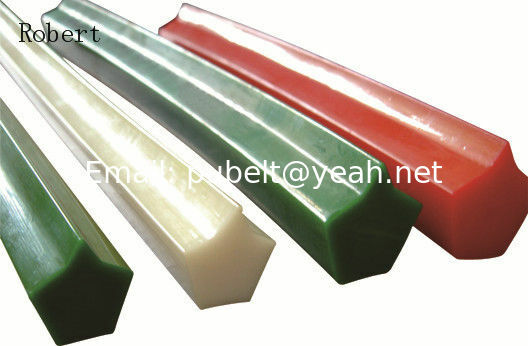 Polyurethane Ridge top V-belts are mainly used within the ceramic and tile industry. Our standard delivery program also includes 2 component Ridge top V-belts. Those products combine excelent product adhesion and high tensile strength features within one product ,and this belt also can reinforced with polyester . wuxi Robert Industrial belt Co., Ltd.was established in May 2011 year , my company of "Good quality and good service always makes customer happy" principle, provide customers with quality and quantity of various types of products. Always uphold the "quality, integrity and pragmatic, motivated, service-oriented" business philosophy, and applies the company's management and operating among. 2014 year Products are sold to foreign markets, and is very popular in the customer market. And our company has many famous enterprises at home and abroad to establish a long-term friendly business relationship. We have introduced advanced production lines. Our company area increased to 130,000 square meters, we have 90 employees.